Sutton Bonington Churchyard, Nottinghamshire, contains 2 Commonwealth War Graves from the First World War. itself, and marked as a cemetery on the OS map. 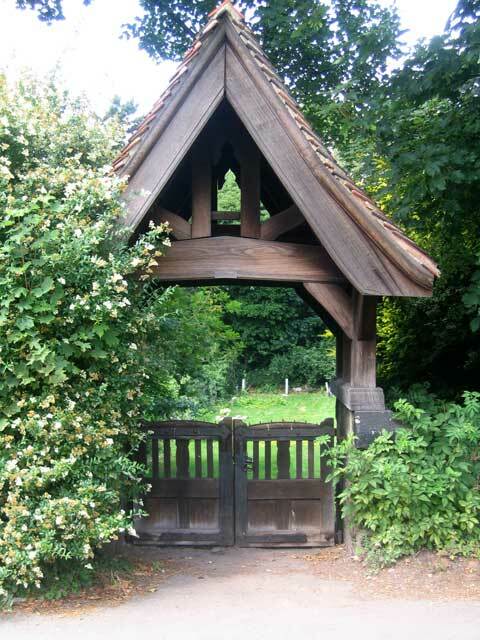 The view of the cemetery through the lych gate has the grave marker for Private Hart (of the Yorkshire Regiment) positioned centrally over the right hand gate. Private J Hart. 5083. 4th (Reserve) Battalion the Yorkshire Regiment, attached (42214) to the Royal Defence Corps). Died at home 25 November 1918. 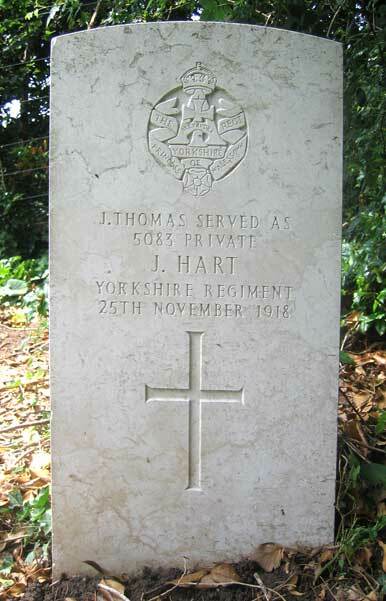 Served as "J Hart" but his real family name was "Thomas".